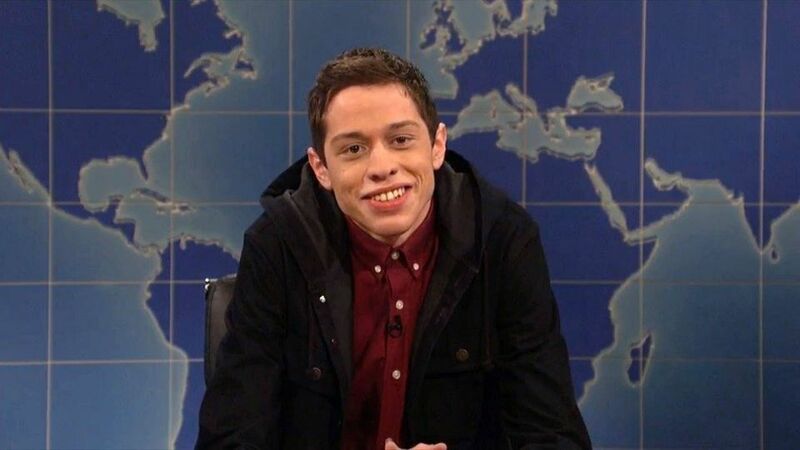 Tonight, Pete Davidson returned to Saturday Night Live following a tumultuous past month or so. It began when he posted on social media a troubling message about his own self-worth; following that, the NYPD performed a welfare check on him and he received an outpouring of support on social media. While Pete appeared in some sketches over the course of the episode tonight hosted by Rachel Brosnahan, we were mostly curious to see whether or not he was going to appear on Weekend Update — and lo and behold, he did. Of course, the assumption here was that he was going to talk about mental health and what he went through. To a certain extent, though, he did — but only for a second or two in the midst of a joke. He was joined by John Mulaney for much of the segment, and the majority of it was actually about the movie The Mule more so than anything that Pete’s actually gone through. This was an amusing discussion tonight, but we’re sure that it also does raise many questions. Why didn’t Pete want to talk about this more? We presume that a lot of it has to do with this simple fact: It’s his own life. With that, he’s not obligated to discuss anything. He has the ability to talk about whatever he sees fit and steer clear of some other subjects if he chooses — him telling a joke about his suicide threat, while poking fun at Mulaney, seemed to be what he wants to do. Remember that sometimes, comedies like to use humor in order to mask some of their pain. We’ve seen this be a part of how Pete likes to handle various situations. Now that we’ve said all of this, what do you think are the chances that we get a chance to see something like this again? It was genuinely funny, and we would appreciate getting a chance to see Mulaney back on the show whenever possible. It’s clear based on this alone that he and Pete have a good friendship and seem to genuinely make one another laugh. This almost felt like Pete was finding out they were doing the bit for the first time during the sketch.